Ever heard the phrase ‘It’s not what you know, it’s who you know’? That’s why networking works. Here’s how you can find your way around the hidden jobs market with a little help from your friends. It’s simple. 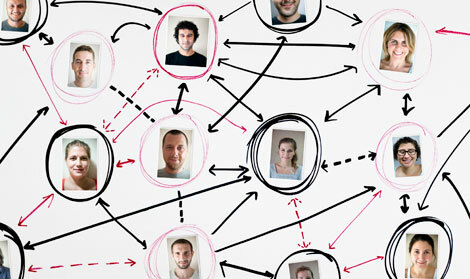 If you’re not networking, you could be missing out on a load of job opportunities. Why? Well, imagine an employer with a vacancy. Say there’s someone they know, or know of, who could do the job well. They’re likely to approach them first – it's convenient and they already trust them. If that doesn't work, they might ask their contacts for suggestions. A recommendation means they find someone. So long before you’d ever see a vacancy on a jobs board, the job’s already taken. Build up your network, and it could be your name that's suggested. Networking can be a scary-sounding concept. It’s easier than you might think, though. Try these tips and get started. Family, friends, former employers, former teachers; tell them you're looking for a job. They could help, or know someone you can get in touch with. Create a great elevator pitch and you'll never be stuck for an answer for ‘Tell me about yourself.’ Interested? Our tutorial takes you through writing your pitch step by step. A simple how-to to help you use the site to connect with people and find job opportunities. Is your social media safe for work? Everything you post could be seen by an employer. Find out how to job-proof your profiles. Digital marketing apprentice Cammy gives you a step-by-step guide to impressing employers with your tweets. In the video, David talks about his experience of networking. It's very important in his job, in the creative industry. Even simple tasks like walking the dog have led him to new connections. It goes to show that you don’t have to be doing work-related things to grow your network. It can be easier to think of it as just people you know, rather than 'a network'. Think about your hobbies. Are you part of a sports team, book group or club? The people you’ve met there are also a part of your network. They might know someone who knows someone. They might have similar job interests to your own. Remember that building experience also lets you grow your network at the same time. Taking up a volunteering placement or doing some work experience will give you new contacts as well as new skills. Look for opportunities which could help you meet people in the types of jobs you want to do. An informational interview is isn't like a job interview. It's more of just a chat with someone working in the type of job you want to get in to. You could ask about the industry, and how people get in to it. You'll also make a new contact who might be able to help you in the future. Start by researching employers you’d like to work for. Be as specific as possible. Use tools like LinkedIn to find names of people in jobs you're interested in. Contact them and ask if they'd be willing to meet you to discuss their role. When you’re going to your meeting, dress smart and make sure you’re punctual. Bring a list of things you know you want to ask about. After your chat, send a thank-you note or email. Keep in touch and let them know how you’re getting on. Ask them to keep you in mind if anything comes up. Phoning someone you’ve never met before can be a bit nerve-wracking. Try these tips and feel confident as you call. Your new job is out there – you just need to know where to look. We’ve got some tips to help you on the hunt.